Interior photography is a special branch of architecture photography but has some of its own unique issues and strategies. 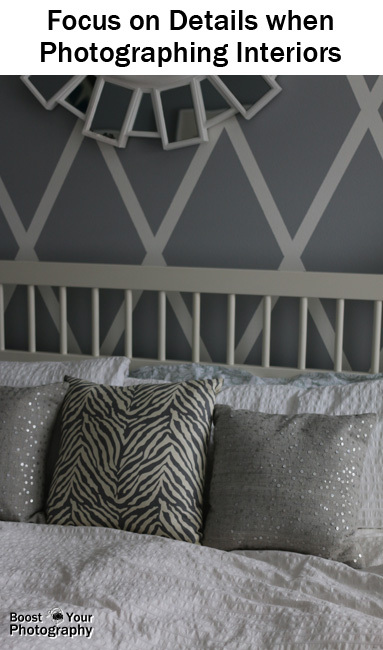 This post explores some top tips for making the most of your interior photographs. 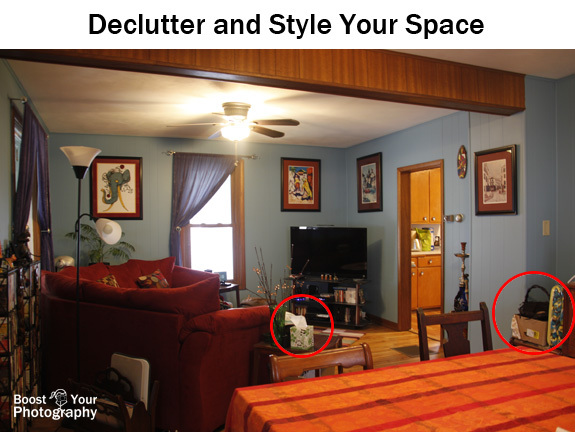 Declutter - Style Your Space. Clutter is one of the top problems with photographing interiors. There is a reason why real estate agents hire professionals when listing houses and why those professionals often bring along a stylist. Look critically at your room or composition, and do not be afraid to move, remove, or simply hide things that do not add to the overall story of the space. Secret tip: when shooting a series of photographs for a before and after series for a friend, all I had to know was where I was going to stand to take the photographs. Then it was an easy task to simply move all the clutter (trash cans, Kleenex boxes, remote controls, etc.) out of view of the camera - off to the side, behind the couch, etc. Utilize Natural Light. 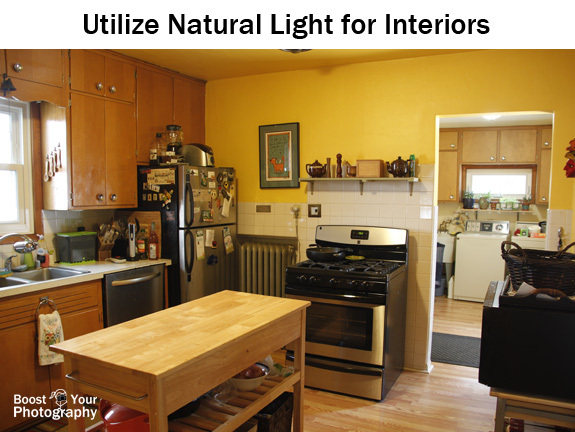 Natural light will add warmth and create an inviting feel to your interior photographs. Depending on the time of day and the quality of the natural light, you may also want to turn on any interior lights or lamps. A lit lamp looks much more inviting than a dark lamp. Read more on Ideas for Natural Light Photography. Pay Attention to Vertical Lines. If you are trying to capture a full view of an interior space, you will need to use a wide angle lens, but you will also need to think about your height and angle for shooting. Pointing the camera up at your subject will cause your vertical lines to start converging (or coming together) towards the top of your image, while pointing the camera down will cause your lines to converge towards the bottom. 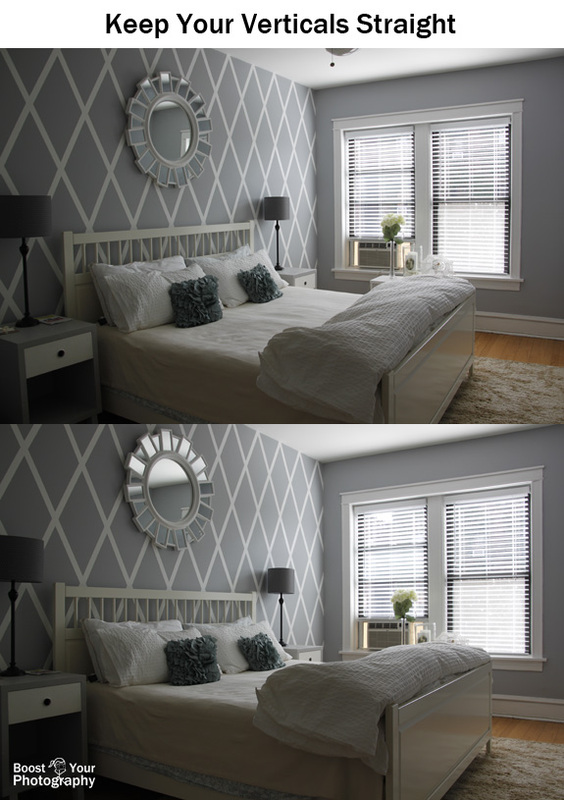 With interior photography, your goal should be to keep your vertical lines vertical. Position your camera so that you can shoot straight on, use a wide angle lens, or consider correcting for the distortion in post-processing. Read more on How to Photograph Architecture. Remember the Details. Vary your shots when shooting interiors. Yes, you want to capture sweeping vistas of an entire room or space, but do not forget to focus on the detail that make that space unique. Aim for a mix of wide angle and detail shots to truly capture the spirit of a place. Use a Tripod. Interiors are often darker spaces, so a tripod is an invaluable resource. Using a tripod allows you to shoot at a narrower aperture to keep more of your photograph in focus (if that is your goal). This is particularly important if you are shooting in dim locations, such as the theater shot that opened this article. Read more on How to Maximize Your Tripod. 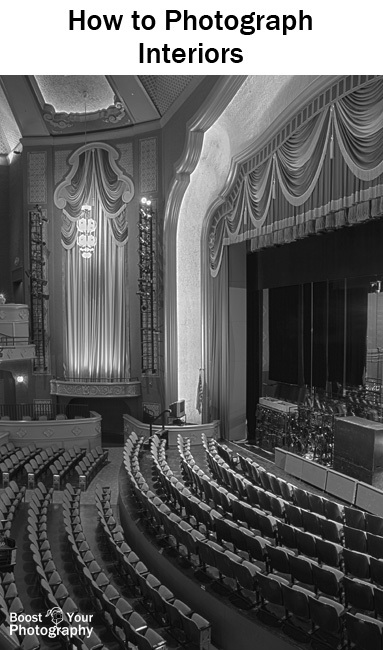 Do you have a favorite tip or trick for shooting incredible interior shots? Please share your thoughts in the comments below!